Harris, Carolyn. "John Campbell Hamilton-Gordon, Earl of Aberdeen". The Canadian Encyclopedia, 30 November 2017, Historica Canada. 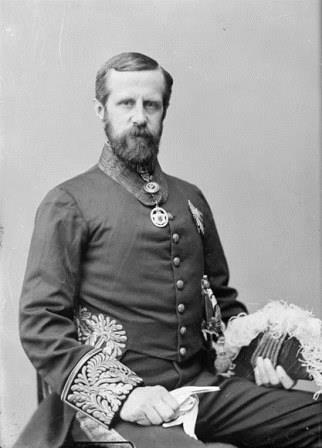 https://www.thecanadianencyclopedia.ca/en/article/john-campbell-gordon-1st-marquess-of-aberdeen. Accessed 22 April 2019. John Campbell Hamilton-Gordon, 1st Marquess of Aberdeen and Temair, Earl of Aberdeen from 1870 to 1916, governor general of Canada from 1893 to 1898 (born 3 August 1847 in Edinburgh, United Kingdom; died 7 March 1934 in Tarland, United Kingdom). 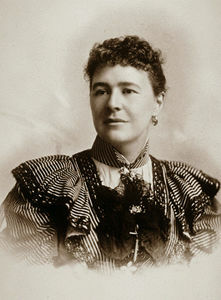 As governor general, the Earl of Aberdeen and his wife, Lady Aberdeen, focused on social welfare and engaging with Canadians of various backgrounds and cultures, setting precedents for the philanthropic initiatives of future governors general. Aberdeen also owned an estate in the Okanagan Valley and pioneered commercial fruit growing in the region. Aberdeen was the third son of George Hamilton-Gordon, 5th Earl of Aberdeen and Mary Baillie, the sister of George Baillie-Hamilton, 10th Earl of Haddington. Both the Hamilton-Gordons and the Baillies were active in politics and evangelical religion. Aberdeen’s grandfather served as prime minister of Britain from 1852 to 1855, while his father was involved in boundary negotiations between the United States and Canada. Aberdeen attended the University of St. Andrews in Scotland, followed by Oxford University, where he graduated with a Bachelor of Arts in 1871. Lady Aberdeen was a dedicated reformer who founded the Victorian Order of Nurses. 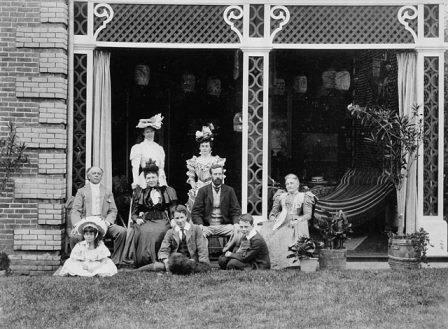 Following a three-month holiday in Canada in 1890, Aberdeen purchased the Coldstream Ranch near Vernon in British Columbia’s Okanagan Valley in 1891. The property included 13,261 acres, 2,000 cattle, 62 horses, 70 hogs, 70 sheep and 50 poultry. Aberdeen commissioned the planting of 25,000 apple, pear and cherry trees on 100 acres of the ranch, beginning the practice of commercial fruit agriculture in the Okanagan Valley. He also established a jam factory and invested in irrigation, beginning construction of what became the Grey Canal. The Aberdeens encouraged immigration to the Okanagan Valley, selling small plots of land to new arrivals for use as fruit farms. Aberdeen’s years as governor general overlapped with the terms of four Canadian prime ministers: John Thompson (1892–94), Mackenzie Bowell (1894–96), Charles Tupper (1896) and Wilfrid Laurier (1896–1911). 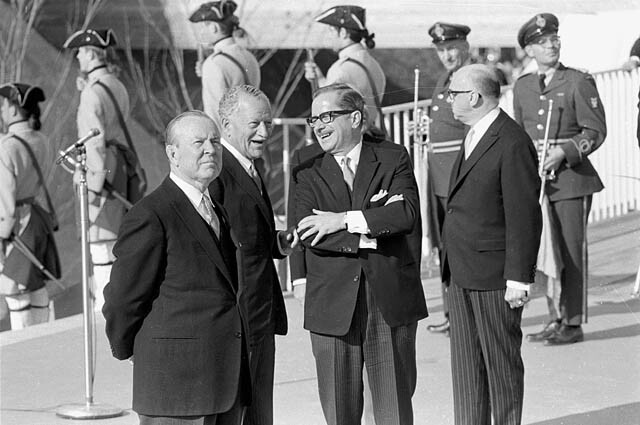 Aberdeen discussed his relations with these prime ministers in his memoirs, written jointly with Lady Aberdeen. The Aberdeens described Thompson as “a very lovable man, and a sincere affection grew up between him and ourselves,” and were saddened by his death in office in 1894. Thompson’s death meant that Aberdeen had to choose the new prime minister, which he described as a challenging task because, “Instead of one individual being marked out by circumstances and public opinion as the proper person for the vacant position, there were at least four of the existing Cabinet who considered that they were each fully, or indeed specially qualified for the position.” Aberdeen chose Mackenzie Bowell after consulting with Sir Frank Smith, a member of Thompson’s cabinet, regarding whether Bowell, a member of the Protestant Orange Order, would be accepted by Roman Catholics. The Aberdeens were impressed by Laurier, describing him in their memoirs as a man of “brilliant gifts and high qualities, which certainly made our relationship, official as well as personal, both pleasant and animating. He was a loyal friend as well as a faithful counsellor, and with such a combination the course of the transactions between a Governor and his Prime Minister could not fail to run smoothly.” Their support for the Liberal prime minister attracted the criticism of Conservatives, who sometimes boycotted official functions at Rideau Hall. Aberdeen and his family were enthusiastic about winter sports and helped popularize skiing in Canada. The Aberdeens explained in their memoirs, “The sunny winters were in themselves a joy, with their winter sports on our own ice rinks at Government House, skating, hockey, tobogganing, sleighing to which we ourselves added skiing, as it was through our children’s Swedish governess that skis were first introduced to Ottawa, though, once introduced, they did not take long in incorporating themselves amongst the national winter delights.” The Aberdeens also hosted spring maple sugar parties. 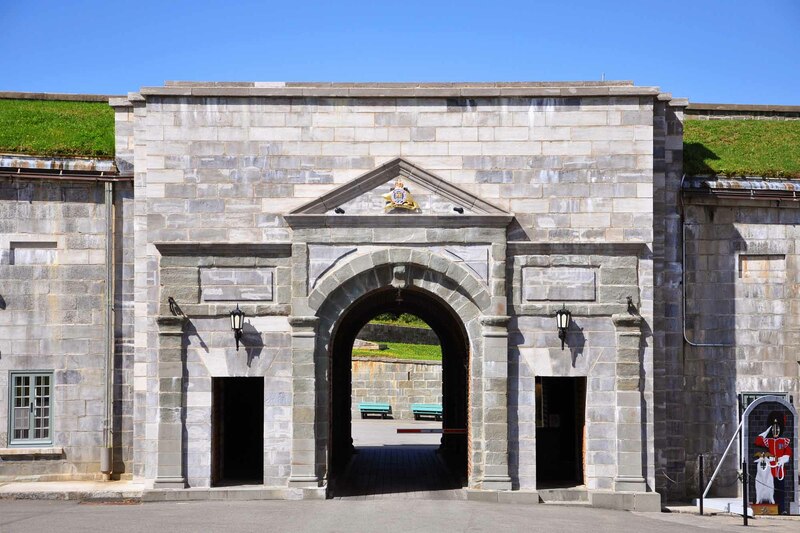 During the summer, the Aberdeens traveled extensively in Canada, spending time at La Citadelle in Québec City, their property in the Okanagan Valley, and a seaside house in New Brunswick where the family enjoyed “boating, fishing, riding, bathing in the waters of the Atlantic and the Pacific, and all the while having the opportunity of meeting all sorts of interesting people.” In 1895, Aberdeen donated the Aberdeen cup to the Royal Canadian Golf Association. 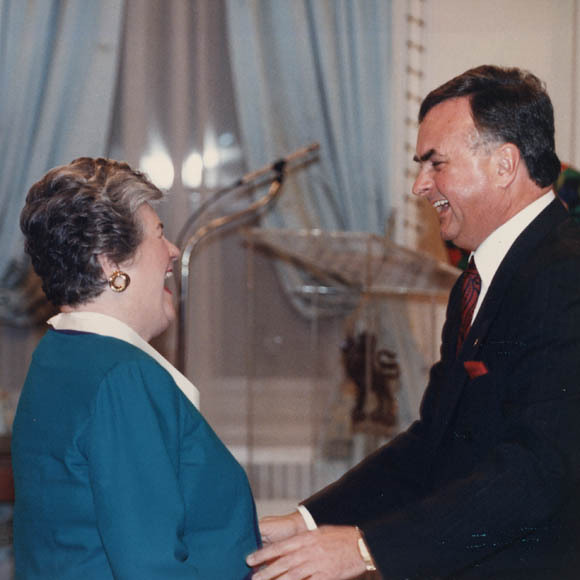 The Aberdeens demonstrated their strong interest in social welfare through their philanthropic activities in Canada. As their biographer Veronica Strong-Boag concluded, “Many initiatives were discreet. Private papers have left a trail of appeals, often answered with kind words and cold cash.” The focus of their initiatives was the development of community organizations such as trade unions and local council of the National Council of Women of Canada that would improve the lives of their members rather than individual philanthropy alone. The Toronto Globe praised Aberdeen as a “sane-minded and public-spirited man,” who contributed to hopes for “social amelioration, for the modification and obliteration of racial and Creed differences, and for industrial progress and national unity in Canada.” When Aberdeen departed Canada at the end of his term, he was presented with a commemorative address signed by the institutions and societies he visited in Toronto, including the Salvation Army and local sports clubs. Aberdeen promoted stronger communication and trade links between the British Dominions and was interested in technological advances that contributed to this connection. During a tour of the Maritime Provinces, he met Alexander Graham Bell, the inventor of the telephone, and his wife, Mabel, at their home in Baddeck, where they were “making experiments in flying machines.” (See also Alexander Graham Bell, Aviation Pioneer). 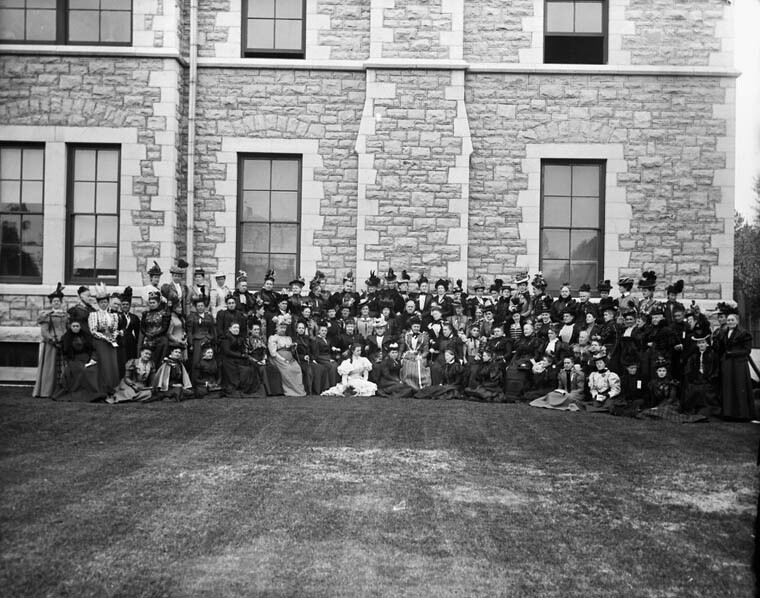 In 1894, Aberdeen presided over the 2nd Colonial Conference in Ottawa, receiving delegates from Australia, New Zealand, South Africa and the United Kingdom as well as the Canadian delegation. The delegates agreed to a Pacific telegraph cable between Canada and Australia, which was completed in 1902. 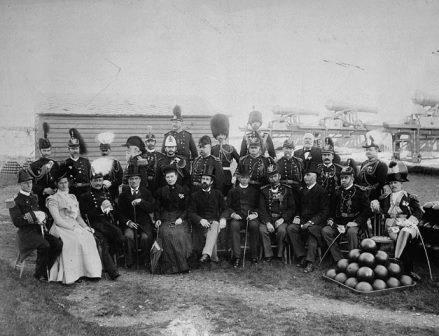 Aberdeen was governor general at the time of Queen Victoria’s Diamond Jubilee in 1897 and led the celebrations of this milestone in Canada, including receiving a message by telegraph from Queen Victoria acknowledging the congratulations that she received from the British Empire and Dominions. Aberdeen returned to Britain in 1898 and was Lord Lieutenant of Ireland from 1905 to 1915. He then received the title of first Marquess of Aberdeen and Temair. 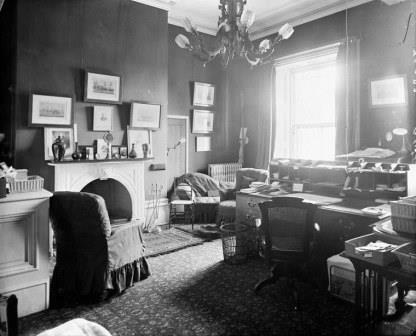 The Aberdeens wrote their memoirs in the 1920s. Aberdeen retired to Aberdeenshire where he died in 1934 at the age of 86. There are streets named after Aberdeen in Toronto, Hamilton, Sarnia and Kingston as well as the Aberdeen pavilion in Ottawa, now an exhibition hall, which is one of the oldest remaining indoor ice hockey venues in the world and the setting for the 1904 Stanley Cup matches. Aberdeen’s establishment of fruit orchards at Coldstream Ranch transformed the economy and landscape of the Okanagan Valley to the present day. Veronica Strong-Boag, Liberal Hearts and Coronets: The Lives and Times of Ishbel Marjoribanks Gordon and John Campbell Gordon, the Aberdeens (2015). Lord and Lady Aberdeen, We Twa: The Reminiscences of Lord and Lady Aberdeen, Two Volumes (1925). Lord and Lady Aberdeen, More Cracks with “We Twa” (1929).